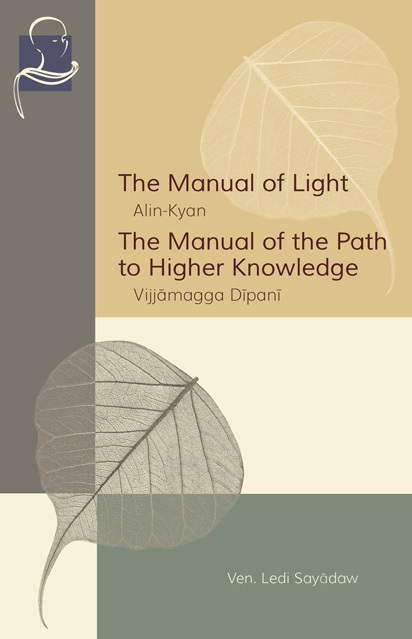 This Pariyatti Edition* contains two advanced expositions on the development of higher insight knowledge by the renowned Burmese scholar monk and meditation master Ledi Sayadaw - The Manual of the Path of Higher Knowledge (Vijjāmagga Dīpanī) and The Manual of Light (Alin-Kyan). Topics dealt with include Dependent Origination, Kamma, Causality, and Nibbana. The Manual of Light (Alin-Kyan) is published in its entirety here. The Manuals of Dhamma, (Pariyatti Edition), also includes a translation of Alin-Kyan that was originally published in The Light of the Dhamma, a journal published in Burma in the 1950's. At that time they did not have a complete translation ready. *Pariyatti Editions use stronger spines and thicker paper compared to past editions.